Have you ever felt like giving up when life throws a series of difficult and life-threatening circumstances at you? Tinuola Babafemi knows what it feels like to be tempted to give up. Faced with terrible sicknesses, horrible accidents, addiction, and betrayal by her husband, Tinuola survived through the power of God. Follow along with Tinuola as she shares her triumphant testimony and discovers that God truly is her Baal-Perazim; the God who broke her enemies before her. About the Author: Tinuola Babafemi is a woman of great faith who is passionate to serve God. She is an effective speaker and a talented writer. She has published a number of articles and short stories in church magazines, which has led to a great harvest of souls. Currently, Tinuola lives in Ontario with her family. 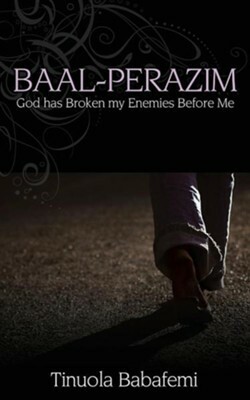 I'm the author/artist and I want to review Baal-Perazim: God Has Broken My Enemies Before Me.